Vald. 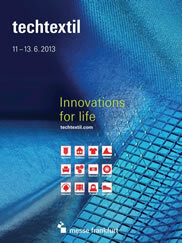 Henriksen is pleased to announce it’s participation at the Techtextil in Frankfurt, Germany. This event is held from June 11 to 13, 2013. For more info: http://techtextil.messefrankfurt.com. You are invited to visit us at location 3.0 D05.